Our company had the opportunity to attend SXSW (South By Southwest) 2018, an annual event held every March in Austin, Texas. Though best known as a music and film festival, the event also plays host to many conferences and exhibitions that allow one to find out about all the latest trends in the technology industry, and presents a valuable opportunity for the purpose of expanding one’s professional networking circles. I want to spend some time over the next few articles talking about the atmosphere one can expect to find at SXSW. Out of all the sessions I attended, the session on the fifth day with John Krafcik (CEO of Waymo, a company renowned for developing Google’s self-driving car) was a particularly comprehensive and compelling talk. 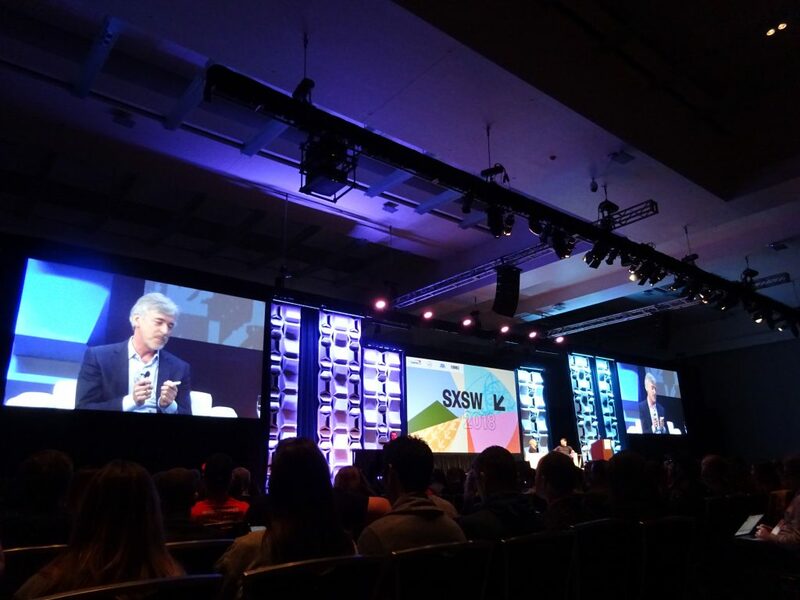 Even though the talk was held in the largest hall of the convention center, the main venue for SXSW, there was still a long wait to gain entry before the session started, evidence of the interest in autonomous cars and the attention and anticipation the field is gaining both in the US and all over the world. The tone of Evan McMorris-Santoro, an HBO reporter who played host, also helped give the talk a lively tempo that captivated the audience. The development of self-driving cars began in 2009 as a Google project, then separated off in 2015 to became Waymo, an independent subsidiary of Google’s parent company, Alphabet. 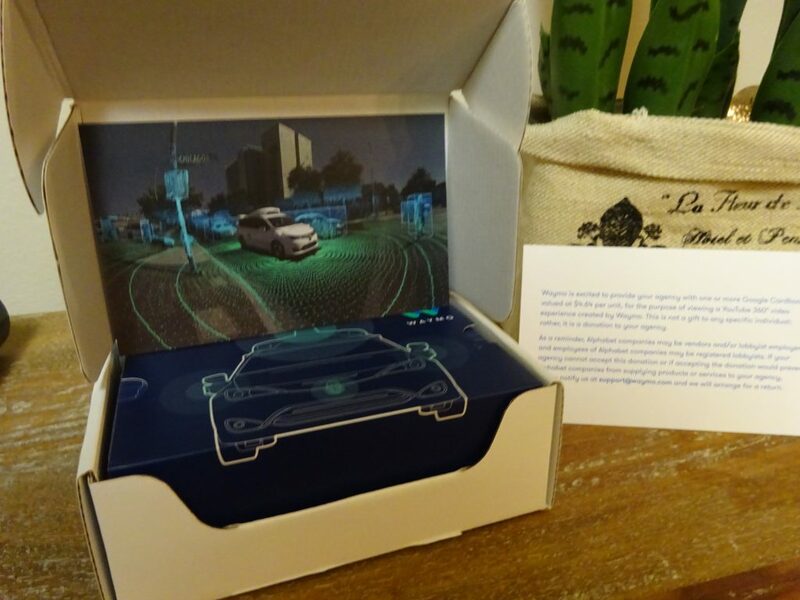 Waymo launched full-scale proof of concept experiments on public roads, before moving on to the “Early Rider Program” experiment that it is currently being conducted in Phoenix, Arizona. When one thinks of self-driving cars, the aspect that gets the most attention is surely the prospect of a future in which anyone can travel safely, as symbolized by the success of the 2015 test-drive of a fully autonomous car on public roads carrying a totally blind passenger. Krafcik said that at the time of the experiment, almost all employees were glued to the real-time monitors watching with baited breath, their feelings a mixture of hope and anxiety. Another thing mentioned in the talk was the result of research which showed that of all the cars registered in the US, only 5% are actually being driven at any one time and, 75% of the time, they only carry the driver. Krafcik appealed to the audience by suggesting that self-driving cars could also make a huge contribution to society as a ride-sharing option. However, the distrust and anxiety felt towards self-driving cars remains a huge barrier. Krafcik explained that one of Waymo’s missions is to deepen the knowledge regarding self-driving cars in the world. In fact, to begin with, Krafcik’s own mother couldn’t understand why her son wanted to be involved in this line of work. But, on getting his doubting mother to experience a test-drive, it wasn’t long before she said, “Johnny, can’t this car go any faster?” Such was the way that the experience converted her. It seems essential to get more people to try this unknown experience. Of course, there are a lot of issues. One audience member asked whether self-driving cars would spell doom for the automotive industry. 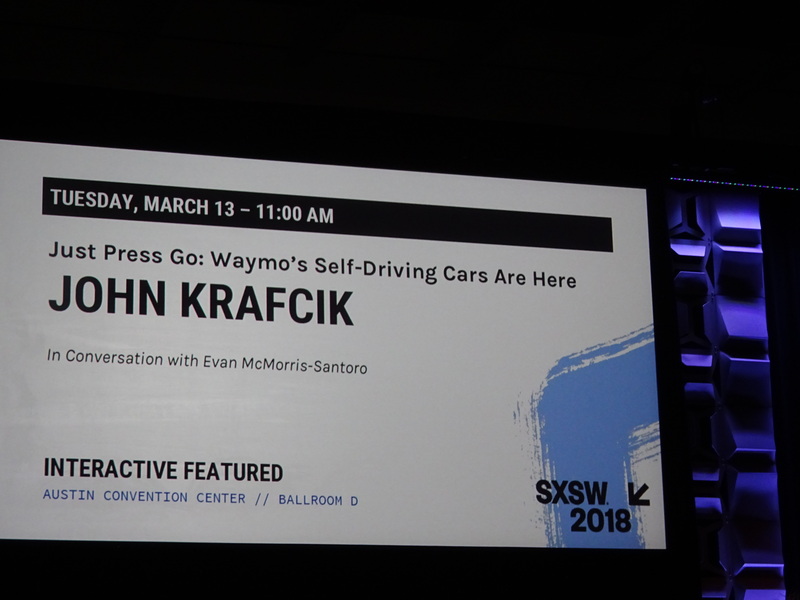 Krafcik answered that Waymo is already working on partnering with a large number of companies, such as AVIS and Lyft, so, rather than spelling the end, they would simply be adding a new layer. He also suggested that they were on course to fulfill a social role, helping to reskill people such as taxi drivers and truckers in the logistics-related industries that they will displace. There was also a question regarding the “trolley problem”, i.e., if the car went out of control, and you were faced with the difficult decision of turning the steering wheel and running over one person, or, letting it continue on its course and mowing down five people. Of course, there’s no way to answer this ethical dilemma easily, but Krafcik, picking his words carefully, stated that one idea they have is to be aware of who in the street is the most vulnerable, such as children, around whom more caution needs to be exercised. Rounding the talk off strongly by stating that the possibility of a shuttle service in which a self-driving car would come and meet you at the airport being implemented before 2028 was 100% certain, everyone in the audience sensed how hard Krafcik is endeavoring to make this futuristic dream a reality. Hardly anybody left halfway through, and Krafcik was given a standing ovation at the end, and so I was impressed by the amount of admiration shown for everyone involved in development at Waymo, led by Krafcik.